In the heart of the old town of Naples, on the lower Decumanus crossing the city (the so-called “Spaccanapoli”), you will find the seat of the Neapolitan cafeteria Centrale del Caffè in Via Benedetto Croce 16. An ideal place to stop and taste the scents of an ancient and genuine Naples, where the streets are rich in history and the artistic and cultural heritage has an inestimable value. Students and foreign visitors just landed from the port of Naples fill the seat of Centrale del Caffè in via Porta di Massa 21/23. A lively combination of languages and colours flocking to taste the intense Neapolitan coffee with its hazel cream. A warm and familiar place characterises the historical cafeteria, from where a strong scent of coffee is given off in the air every day. 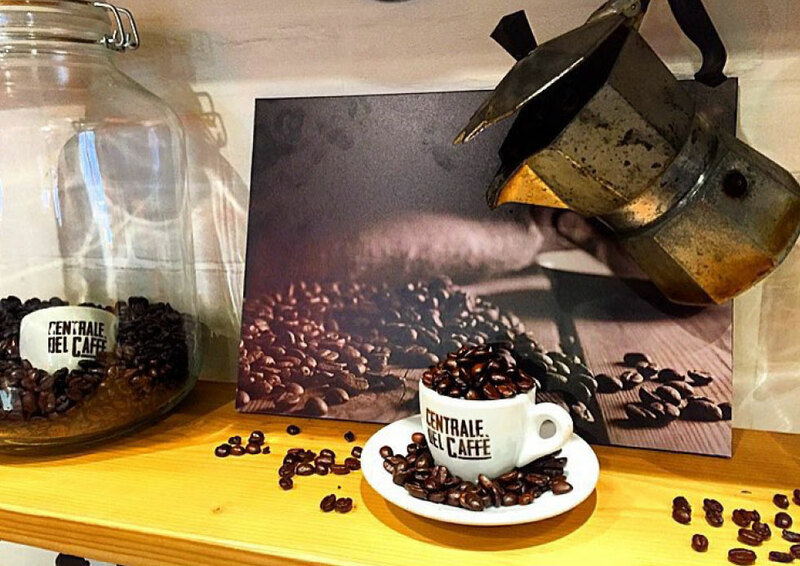 Starting and arrival point, in this seat of Centrale del Caffè, a few steps from Naples’s main station, you can never get bored. A lively place always full of people is the refreshment bar for everyone coming and going, because if it is true that you cannot start well your day without drinking a good coffee, you cannot even say goodbye to the city without having tasted another coffee.